Actavis announced that the Food and Drug Administration (FDA) has approved its supplemental New Drug Application (sNDA) for Saphris (asenapine) as monotherapy for the acute treatment of manic or mixed episodes associated with bipolar I disorder in pediatric patients aged 10–17 years. The expanded approval is based on the results of a three-week monotherapy trial in patients aged 10–17 years (n=403). Treatment with Saphris improved Young Mania Rating Scale (YMRS) total score and Clinical Global Impression-Bipolar (CGI-BP) Severity of Illness overall score vs. placebo. Saphris, a second generation atypical antipsychotic, is already indicated for the treatment of schizophrenia and for the acute treatment of manic or mixed episodes associated with bipolar I disorder in adults as monotherapy or as adjunctive therapy with either lithium or valproate. The efficacy of asenapine may be mediated through a combination of antagonist activity at D2 and 5-HT2A receptors. 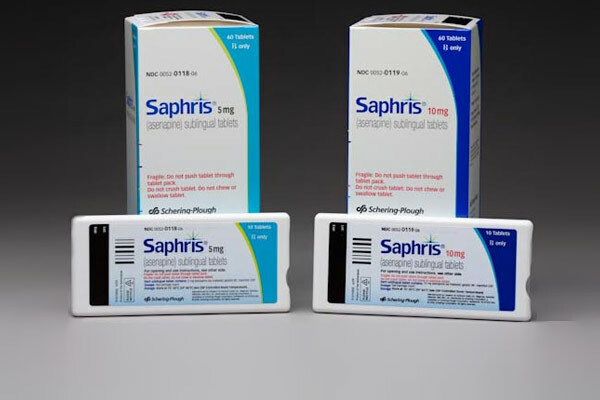 Saphris will be available as 2.5mg, 5mg, and 10mg black cherry flavor sublingual tablets for pediatric patients in the second quarter of 2015. For more information call (800) 678-1605 or visit Saphris.com.